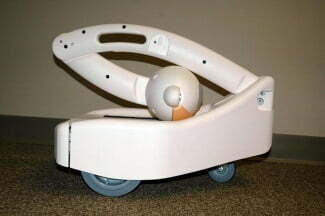 Are You Ready For A “Follow-Me-Robot” That Carries Your Load? When you are being followed every inch by an alien looking robot the chances of panicking are quite honestly very high. Thoughts of possibly being monitored by the CIA,NSA or worst still an alien is definitely logical, but in this era of personalized hi-tech gadgets, you might want to take a break and do what any sane person in your condition would do; read this piece. When it comes to artificial intelligence based technology, Apple created Siri, Microsoft created Cortana,Amazon created Alexa and Robotbase created Personal, robot and Facebook created Facebook M. Unlike others, 5elementRobotics created a unique robot; the Budgee bot. is in manual mode, when he is in follow mode and a variety of other status messages. So if you are the type that doesn’t appreciate a crush on you by robots, budgee may just tell you in time Enough to break up. 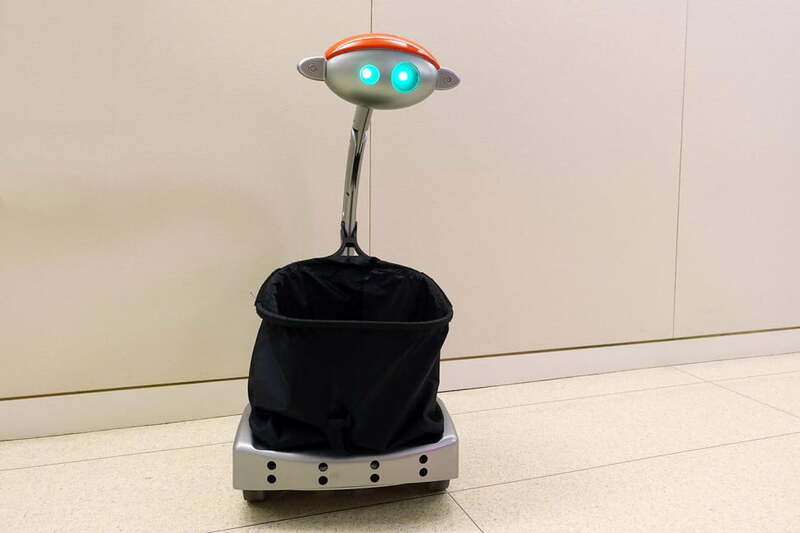 Users clip a keychains sized transceiver to a belt or the back of a wheelchair; when Budgee is in “follow” mode, it can pick up the signal, as long as it’s facing him. And as long as you don’t travel faster than 2.4 miles per hour. “If you start running, you’ll probably lose him,” says Roberts CEO of 5element robotics. In “manual” mode, users can control the bot from a smartphone app, and the company is developing a joystick-like device as well. Despite its consumer targeting, Budgee is getting some commercial interest. A llibrary wants its librarians to be able to put books in the robot’s basket, which has been upgraded from mesh to an opaque material that won’t put your goods on display. Postal workers in Denmark may soon lighten their load with Budgee. Malls in China have been deliberating on renting out Budgee to help carry loads of shoppers. 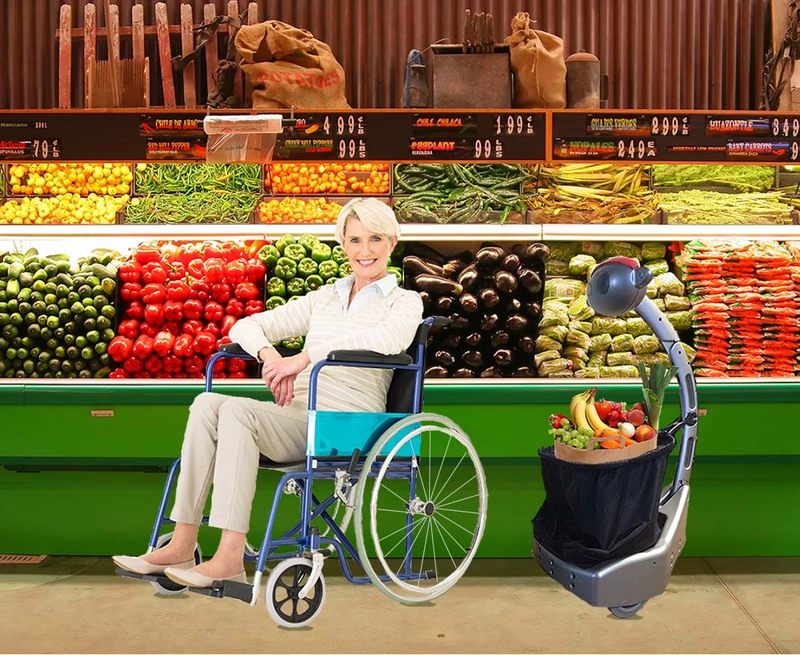 Budgee could serve as a robotic shopping cart carrying shoppers load. Budgee is an excellent helper for the elder and disabled,its great for operation inside and outside. He can travel over sidewalks aand streets, and is able to safely travel up and down handicap ramps. Friendly helper for the disabled. Budgee can operate for up to 10 hours on Its rechargeable battery which recharges in 2-3 hours.it comes equipped with obstacle and cliff sensors so that he will stop before running into objects in front of it and also stop before going over a cliff (such as a stairway or other surface drop off).Everyone has different stride length so Mr Budgee has a customizable feature to allow you to set the follow distance that you are comfortable with. However budgee comes a little too pricy at $1400 per unit, which way above the amount many are willing o pay for a “robotic shopping cart’.